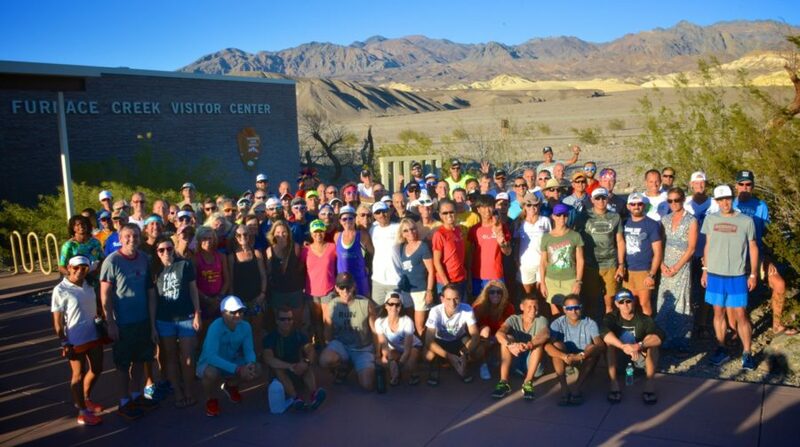 2016 STYR Labs Badwater 135 Race Field, in front of the Death Valley National Park Visitors Center: 116 degrees at 700pm on July 17, 2016. Photo by Ron Jones. Runners/Crews: Download the GPS Tracker Mounting and Usage PDF Here. Videos by Ultra Racing Network coming in a few days.